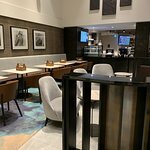 Merci d’avoir pris le temps de nous faire part votre avis concernant votre experience au Four Points by Sheraton Auckland. Nous sommes ravis d’apprendre que vous avez passe un agreable sejour parmi nous. Nous esperons que votre sejour a Aotearoa fut memorable et nous vous souhaitons un bon retour. Un hôtel tout neuf en plein coeur d'Aucland avec une vue magnifique, facile d'accès (30 minutes depuis l'aéroport). De belles chambres, spacieuses, agréables et fonctionnelles. 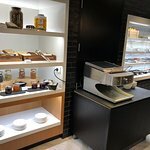 Un lobby animé et un buffet petit déjeuner faisant la part belle aux produits frais donc un grand BRAVO ! L'équipe est très professionnelle, rapide et efficace. Merci d’avoir choisi le Four Points by Sheraton Auckland pour votre sejour. Nous sommes ravis d’apprendre que l’hotel ainsi que les services vous aient plu. 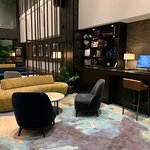 Nous communiquerons votre commentaire avec l’equipe de l’hotel. Nous esperons vous revoir tres prochainement. On behalf of the team here at Four Points by Sheraton, merci bercu, we were delighted to read that you enjoyed your stay with us and look forward to welcoming you back very soon. 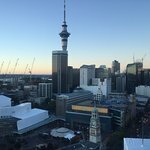 It is a pleasure to read your review of Four Points by Sheraton Auckland and learn that you enjoyed your recent stay across the French vs All Black rugby weekend. We have also celebrated with Winter and Stanley whom you have personally made mention of and also provided compliments to the entire team. Thank you very much for taking the time to review Four Points by Sheraton Auckland. We were thrilled to learn that you enjoyed your stay with us and we look forward to welcoming you back very soon.